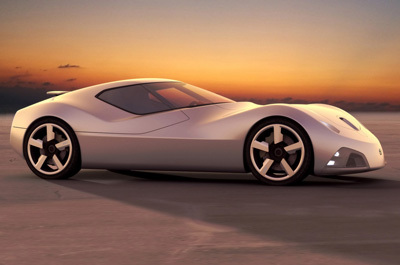 The Toyota 2000 SR concept created independently of Toyota by SURE Design is a modern day incarnation of the Toyota 2000 GT supercar from 1967. The original 2000 GT, while only produced in very limited numbers, is widely considered to be Japan's first supercar. The 2008 Toyota 2000 SR is based around the idea the idea of sustainability and adaptation. Proposed power for the Toyota 2000 SR comes from a mid-front mounted, bio-fueled, turbocharged, 3.5-liter V6 engine which develops 610 horsepower sending its power to the rear wheels. At the front of the 2000 SR an electric motor provides power to the front wheels. This motor can be operated solely in low-speed conditions where the power of the V6 is unnecessary. 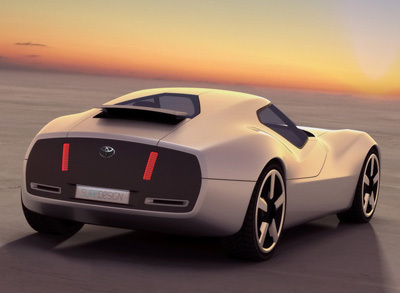 The Toyota 2000 SR concept is purely a styling exercise by PURE Design, and a production run is unplanned.